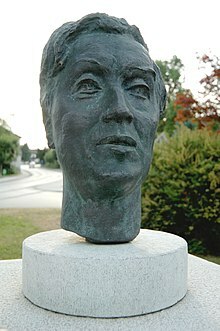 Alban Maria Johannes Berg (/ˈɑːlbɑːn ˈbɛərɡ/; German: [ˈbɛɐ̯k]; February 9, 1885 – December 24, 1935) was an Austrian composer of the Second Viennese School. His compositional style combined Romantic lyricism with twelve-tone technique. Berg was born in Vienna, the third of four children of Johanna and Konrad Berg. His family lived comfortably until the death of his father in 1900. Berg was more interested in literature than music as a child and did not begin to compose until he was fifteen, when he started to teach himself music. With Marie Scheuchl, a maid fifteen years his senior in the Berg family household, he fathered a daughter, Albine, born December 4, 1902. Berg had little formal music education before he became a student of Arnold Schoenberg in October 1904. With Schoenberg, he studied counterpoint, music theory, and harmony. By 1906 he was studying music full-time; by 1907 he began composition lessons. His student compositions included five drafts for piano sonatas. He also wrote songs, including his Seven Early Songs (Sieben Frühe Lieder), three of which were Berg's first publicly performed work in a concert that featured the music of Schoenberg's pupils in Vienna that year. The early sonata sketches eventually culminated in Berg's Piano Sonata, Op. 1 (1907–1908); it is one of the most formidable "first" works ever written. Berg studied with Schoenberg for six years until 1911. Among Schoenberg's teaching was the idea that the unity of a musical composition depends upon all its aspects being derived from a single basic idea; this idea was later known as developing variation. Berg passed this on to his students, one of whom, Theodor W. Adorno, stated: "The main principle he conveyed was that of variation: everything was supposed to develop out of something else and yet be intrinsically different". The Piano Sonata is an example—the whole composition is derived from the work's opening quartal gesture and its opening phrase. Berg was a part of Vienna's cultural elite during the heady fin de siècle period. His circle included the musicians Alexander von Zemlinsky and Franz Schreker, the painter Gustav Klimt, the writer and satirist Karl Kraus, the architect Adolf Loos, and the poet Peter Altenberg. In 1906 Berg met the singer Helene Nahowski, daughter of a wealthy family (said by some to be in fact the illegitimate daughter of Emperor Franz Joseph I of Austria from his liaison with Anna Nahowski). Despite the outward hostility of her family, the two were married on May 3, 1911. In 1913 two of Berg's Altenberg Lieder (1912) were premièred in Vienna, conducted by Schoenberg in the infamous Skandalkonzert. Settings of aphoristic poetic utterances, the songs are accompanied by a very large orchestra. The performance caused a riot, and had to be halted. He effectively withdrew the work, and it was not performed in full until 1952. The full score remained unpublished until 1966. From 1915–18, Berg served in the Austro-Hungarian Army and during a period of leave in 1917, he accelerated work on his first opera, Wozzeck. After the end of World War I, he settled again in Vienna, where he taught private pupils. He also helped Schoenberg run his Society for Private Musical Performances, which sought to create the ideal environment for the exploration and appreciation of unfamiliar new music by means of open rehearsals, repeat performances, and the exclusion of professional critics. Berg had a particular interest in the number 23, using it to structure several works. Various suggestions have been made as to the reason for this interest: that he took it from the biorhythms theory of Wilhelm Fliess, in which a 23-day cycle is considered significant, or because he first suffered an asthma attack on the 23rd of the month. In 1924 three excerpts from Wozzeck were performed, which brought Berg his first public success. The opera, which Berg completed in 1922, was first performed on December 14, 1925, when Erich Kleiber conducted the first performance in Berlin. Today, Wozzeck is seen as one of the century's most important works. Berg made a start on his second opera, the three-act Lulu, in 1928 but interrupted the work in 1929 for the concert aria Der Wein which he completed that summer. Der Wein presaged Lulu in a number of ways, including vocal style, orchestration, design and text. Life for the musical world was becoming increasingly difficult in the 1930s both in Vienna and Germany due to the rising tide of antisemitism and the Nazi cultural ideology that denounced modernity. Even to have an association with someone who was Jewish could lead to denunciation, and Berg's "crime" was to have studied with the Jewish composer Arnold Schoenberg. Berg found that opportunities for his work to be performed in Germany were becoming rare, and eventually his music was proscribed and placed on the list of degenerate music. In 1932 Berg and his wife acquired an isolated lodge, the Waldhaus on the southern shore of the Wörthersee, near Schiefling am See in Carinthia, where he was able to work in seclusion, mainly on Lulu and the Violin Concerto. At the end of 1934, Berg became involved in the political intrigues around finding a replacement for Clemens Krauss as director of the Vienna State Opera. As more of the performances of his work in Germany were cancelled by the Nazis, who had come to power in early 1933, he needed to ensure the new director would be an advocate for modernist music. Originally, the premiere of Lulu had been planned for the Berlin State Opera, where Erich Kleiber continued to champion his music and had conducted the premiere of Wozzeck in 1925, but now this was looking increasingly uncertain, and Lulu was rejected by the Berlin authorities in the spring of 1934. 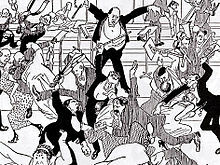 Kleiber's production of the Lulu symphonic suite on 30 November 1934 in Berlin was also the occasion of his resignation in protest at the extent of conflation of culture with politics. Even in Vienna, the opportunities for the Vienna School of musicians was dwindling. Berg had interrupted the orchestration of Lulu because of an unexpected (and financially much-needed) commission from the Russian-American violinist Louis Krasner for a Violin Concerto (1935). This profoundly elegiac work, composed at unaccustomed speed and posthumously premièred, has become Berg's best-known and most-beloved composition. Like much of his mature work, it employs an idiosyncratic adaptation of Schoenberg's "dodecaphonic" or twelve-tone technique, that enables the composer to produce passages openly evoking tonality, including quotations from historical tonal music, such as a Bach chorale and a Carinthian folk song. The Violin Concerto was dedicated "to the memory of an Angel", Manon Gropius, the deceased daughter of architect Walter Gropius and Alma Mahler. Before he died, Berg had completed the orchestration of only the first two of the three acts of Lulu. The completed acts were successfully premièred in Zürich in 1937. For personal reasons Helene Berg subsequently imposed a ban on any attempt to "complete" the final act, which Berg had in fact completed in short score. An orchestration was therefore commissioned in secret from Friedrich Cerha and premièred in Paris (under Pierre Boulez) only in 1979, soon after Helene Berg's own death. The complete opera has rapidly entered the repertoire as one of the landmarks of contemporary music and, like Wozzeck, remains a consistent audience draw. Berg scholar Douglas Jarman writes in the New Grove Dictionary of Music and Musicians that "[as] the 20th century closed, the 'backward-looking' Berg suddenly came as [George] Perle remarked, to look like its most forward-looking composer." The asteroid 4528 Berg is named after him (1983). ^ John H. Baron (10 June 2010). Chamber Music: A Research and Information Guide. Routledge. pp. 301–. ISBN 978-1-135-84828-6. ^ Jarman, Douglas (1990). The Berg Companion. Boston: Northeastern University Press. p. 190. ISBN 1555530680. OCLC 19739582. ^ Schoenberg, Arnold. Trans. Joe Monzo. ""Schoenberg's Harmonielehre"". Archived from the original on 27 September 2003. Retrieved 1 July 2016. ^ "Alban Berg - Composer - MariinskyKirov.com". www.mariinsky-theatre.com. Retrieved 2018-10-02. ^ Georg Markus, Der Kaiser Franz Joseph I.: Bilder und Dokumente; Anna Nahowski and Friedrich Saathen, Anna Nahowski und Kaiser Franz Joseph : Aufzeichnungen/erstmalig herausgegeben und kommentiert von Friedrich Saathen, Böhlau, 1986. ^ Taruskin, Richard (2010). Music in the Early Twentieth Century. New York: Oxford University Press. p. 196. ISBN 0195384849. OCLC 261177783. ^ Jarman, D. (1985). The Music of Alban Berg. Berkeley: University of California Press, pp. 228–30. ^ Elliott 2014, p. 55. ^ "Alban Berg". musopen.org (in French). Retrieved 2018-08-23. ^ a b Notley 2010. ^ Pople, Anthony (1991). Berg: Violin Concerto. Cambridge: Cambridge University Press. p. 28. ISBN 0521399769. OCLC 22314162. ^ "Alban Berg". musicacademyonline.com. Retrieved 17 September 2015. ^ Jarman, Douglas (1991). Alban Berg: Lulu. Cambridge [England]: Cambridge University Press. p. 46. ISBN 0521284805. OCLC 21226688. ^ The Complete Book of 20th Century Music, p. 20, by David Ewen, Prentice-Hall Inc. 1963. ^ Schmadel, Lutz D. (2012). Dictionary of Minor Planet Names. Volume 2 (6th ed.). Springer. p. 367. Jarman, Douglas (1985) . The Music of Alban Berg (Revised ed.). Berkeley: University of California Press. ISBN 9780520049543. Jarman, Douglas (1989). Alban Berg, Wozzeck. Cambridge: Cambridge University Press. ISBN 9780521284813. Jarman, Douglas (1991). Alban Berg: Lulu. Cambridge: Cambridge University Press. ISBN 9780521284806.
dos Santos, Silvio J. Narratives of Identity in Alban Berg's 'Lulu'. Rochester, NY: University of Rochester Press, 2014. Elliott, Antokoletz (2014). A History of Twentieth-Century Music in a Theoretic-Analytical Context. Hoboken: Taylor and Francis. ISBN 9781135037307. Perle, George (1977). Twelve-tone tonality. Berkeley: University of California Press. ISBN 9780520033870. Perle, George (1995). The right notes: twenty-three selected essays on twentieth-century music. Stuyvesant, NY: Pendragon Press. ISBN 9780945193371. Whittall, Arnold (2008). The Cambridge introduction to serialism. New York: Cambridge University Press. ISBN 9780521863414. Adorno, Theodor W.; Berg, Alban (2005) . Lonitz, Henri (ed.). Briefwechsel 1925–1935 [Correspondence 1925–1935]. Hoban, Wieland - translator, originally published by Suhrkamp Verlag, Frankfurt. Cambridge: Polity. ISBN 9780745694962. Lee, Douglas (2002). Masterworks of 20th-Century Music: The Modern Repertory of the Symphony Orchestra. NY: Routledge. ISBN 9781136066900. MacDonald, Malcolm (2008). Schoenberg. Oxford: Oxford University Press. ISBN 9780198038405. Simms, Bryan R. (2013) . Alban Berg (2nd ed.). Hoboken: Taylor and Francis. ISBN 9781135846749. Walton, Chris (2014). Lies and epiphanies: composers and their inspiration from Wagner to Berg. Rochester, NY: University of Rochester Press. ISBN 9781580464772. Hailey, Christopher, ed. (2010). Alban Berg and his world. Princeton, N.J.: Princeton University Press. ISBN 9781400836475. Vocal texts used by Alban Berg with translations to various languages at the LiederNet Archive. albanberg.resampled.de The most comprehensive acoustic representation of Alban Bergs Works in digital realisations.